Ubiquiti Networks introduces the EdgeRouter X; part of the EdgeMAX platform. The EdgeRouter X combines carrier-class reliability with excellent price-to-performance value in an ultra-compact form factor. Two models of the EdgeRouter X are available. The standard model; the ER-X; can be powered by an external power adapter or 24V passive PoE input. 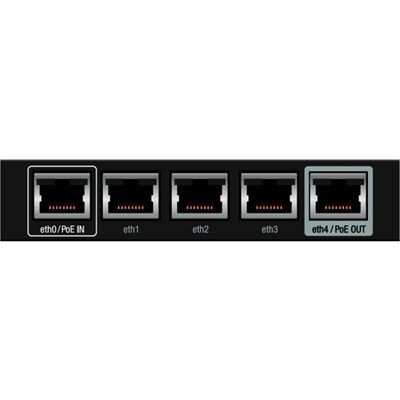 A passive PoE passthrough option 1 is available to support a single airMAX device 2.